We’re excited to announce the launch of our updated website 🙌. We believe that its new look and feel truly represents who we are as bank of the free. With stunning visuals and a more feature focused design, you can now experience freedom like never before. Go ahead and check it out here: https://www.bunq.com/ 🌈. Many thanks to our amazing design team and we can’t wait to hear all of your thoughts within the community! I only got one word to say: absolutely stunning! Ow darn that are two words 😉. Love the design and the whole free feeling. 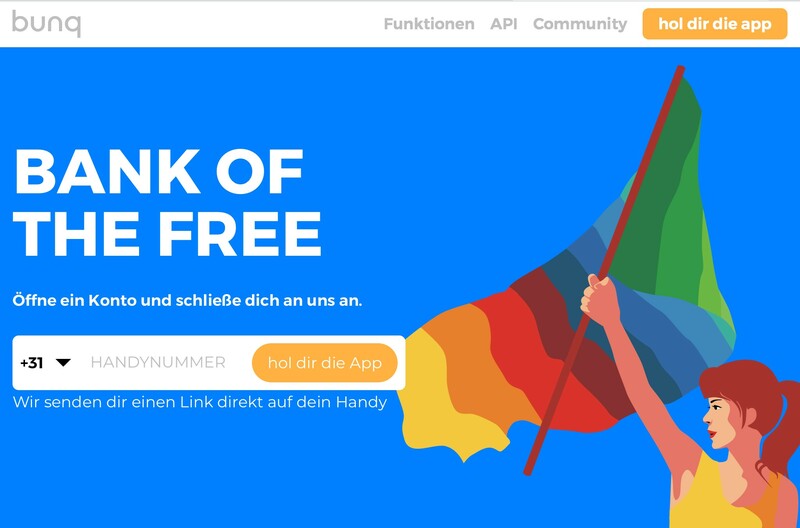 The 'Unlike any other' and 'bunq not bank' didn't bring the real bunq feeling across. But lets all forget about that and focus on the road bunq took as of today. I especially like way Together 🌈 is positioned on the new site. Nice one. I especially like the feature to directly get a link to my phone number. Yet, I'd recommend to check the country the user is coming from and change the country calling code to fit the users current country. The colors look more friendly and will probably attract a wider range of 'normal' (young) people. Still, the flag signals the 'revolution' bunq stands for. Good design choice whole in all. I really love the pop art. Amazing artists! That’s definitely an improvement! 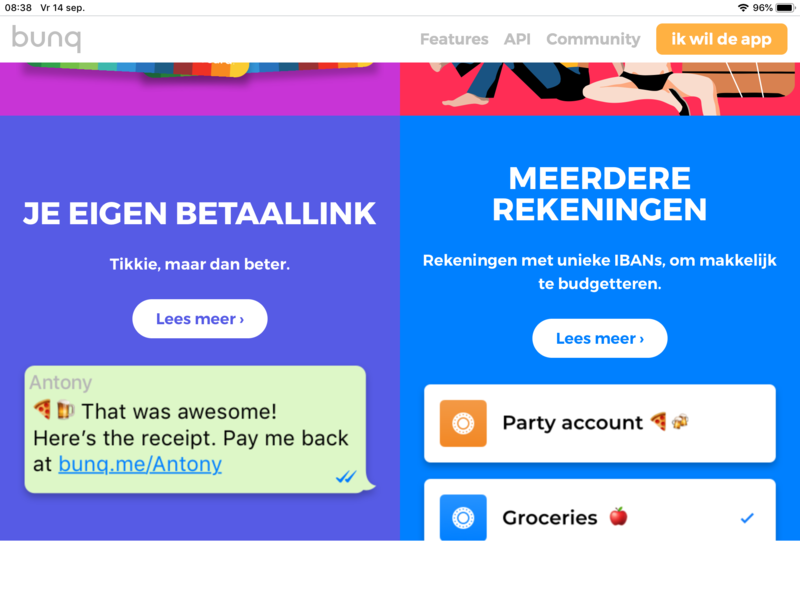 Much clearer about the functions bunq offers and a much better choice of wording (‘get the app’ rather than ‘get an invite’). Still not a fan of the pop art, but it’s much more subtle then it was with the ‘seducing’ girl. Better look, better info: nice job! The new website looks good. The dolls may have a bit more fat on the bones, but bunq is a lot clearer than the previous version what bunq is and what the possibilities are. 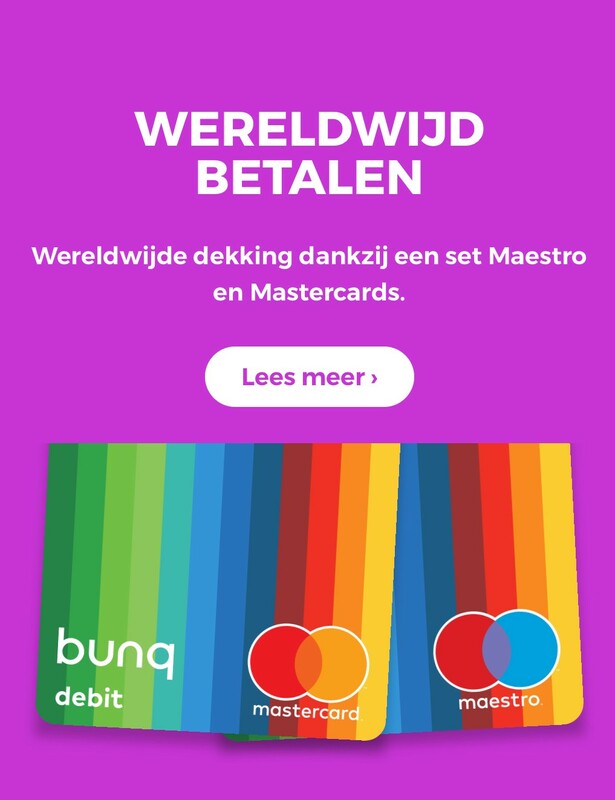 Maestro is mentioned in the singular, MasterCard is mentioned in plural. However, card selection is completely free. Text is in the chosen language, the images do not adapt to the chosen language. If German is chosen, the country code will remain 0 instead of being adjusted to +49 in this case. Michiell Maestro is mentioned in the singular, MasterCard is mentioned in plural. However, card selection is completely free. Michiell If German is chosen, the country code will remain +31 instead of being adjusted to +49 in this case. I think it is a very nice update. The website shows much better what bunq is and does. New customers can see better what bunq has to offer.